In this video we leave Wellington and finally make our way to the South Island. 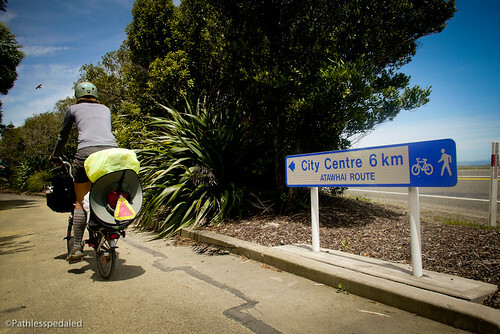 We explore the wonderful town of Nelson, NZ which is one of the most bike-friendly towns we’ve seen in NZ. It doesn’t hurt that it is also New Zealand’s beer capital. Check out more behind the scenes info about the video on our special post on Bicycle Times. Another great webisode, thanks Russ and Laura. Alos, loving your use of Banjo. The perfect bike touring instrument.